Sales at Maruti Suzuki India fell 2.8 per cent to 147,700 units in August, down from 152,000 units it sold in the year-ago month. “Sales during the month were adversely affected due to severe floods in Kerala and heavy rains in other parts of the country,” the company said. Its rival Hyundai Motor India's domestic sales were also hit. Its sales declined 2.8 per cent, to 45,801 units from 47,103 units sold in August 2017. However, sales at Tata Motors jumped 28 per cent to 18,420 units compared to 14,340 units last year. 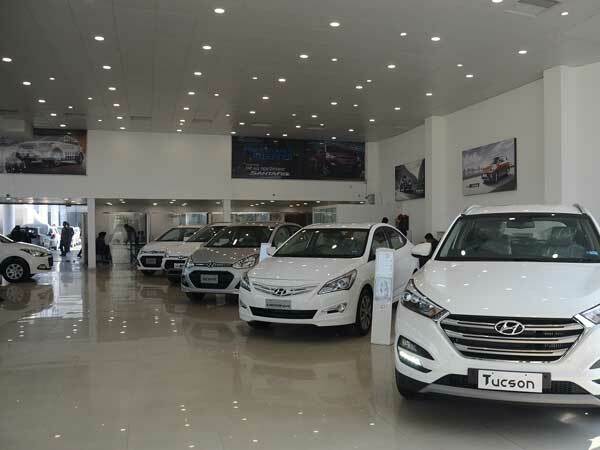 “Due to heavy rains across the country and floods in Kerala, the consumer sentiment was muted last month,” Mayank Pareek, president, passenger vehicles at Tata Motors, said. Similarly, sales at Mahindra also rose 15 per cent at 45,373 units last month, up 39,615 units it sold in August 2017. “The auto industry remained subdued in August with low sentiments due to some external factors,” Rajan Wadhera, president, automotive sector at Mahindra and Mahindra, said. But sales at Honda Cars India fell by 2 per cent at 17,020 units, down from 17,365 units it sold last year. “There was an impact of Kerala floods and heavy rains in many parts of the country combined with GST related high base effect of August 2017,” Rajesh Goel, senior VP and director, marketing and sales at Honda Cars India, said. Sales at Toyota Kirloskar Motor increased 11.47 per cent rise at 14,581 units in August as against 13,081 units in the year-ago month. N Raja, deputy MD at Toyota Kirloskar Motor said Innova Crysta and Fortuner have been performing consistently as segment leaders, driving its sales volumes. “We have been able to overcome the challenge with complete support of other dealers across other regions. Kerala is a very important market for us and we will work hard to get this market back to normalcy,” Raja said. Ford India too reported 3.41 per cent rise in sales at 8,042 vehicles, up from 7,777 units it sold in the same month last year. “The auto sales data released by select OEMs for August 2018 paints a mixed picture,” Shamsher Dewan, vice president and sector head at Corporate Ratings, Icra, said. He said sales of passenger vehicles indicates some softness, possibly emanating from adverse impact of heavy rains in many parts of the country and floods in Kerala. “Industry is keenly waiting for a positive uptick post monsoon and during the festive season which is not too far away,” Sridhar V, senior analyst and partner at Grant Thornton India, said.